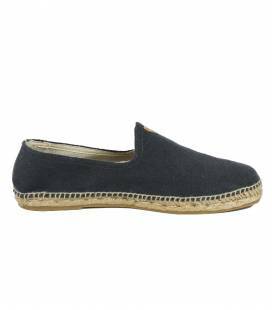 FLAT COTTON ESPADRILLES ALUMINUM Men's espadrilles. Organic and vegan. GOTS-certified organic cotton. Handmade in Spain. 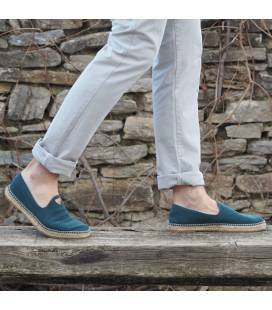 Jute sole with a bottom layer made of natural rubber that boosts their durability. Natural jute upper. If you prefer, in the shop, we have inner soles made of organic cotton fabric. 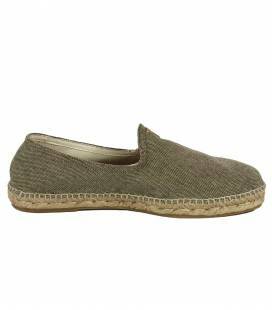 FLAT COTTON ESPADRILLES KHAKI Men's espadrilles. Organic and vegan. GOTS-certified organic cotton. Handmade in Spain. 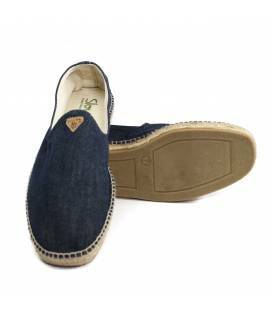 Jute sole with a bottom layer made of natural rubber that boosts their durability. Natural jute upper. 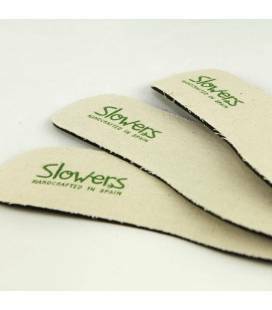 If you prefer, in the shop, we have inner soles made of organic cotton fabric. 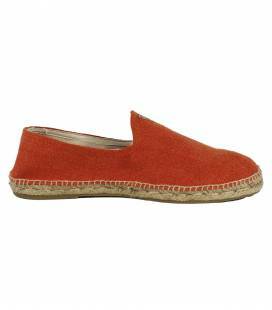 FLAT COTTON ESPADRILLES TERRACOTA Men's espadrilles. Organic and vegan. GOTS-certified organic cotton. Handmade in Spain. Jute sole with a bottom layer made of natural rubber that boosts their durability. Natural jute upper. If you prefer, in the shop, we have inner soles made of organic cotton fabric. 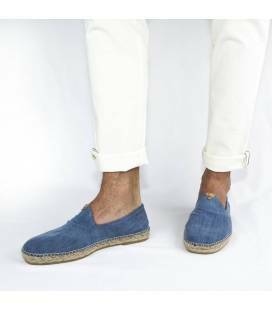 FLAT COTTON ESPADRILLES DEEP BLUE Men's espadrilles. Organic and vegan. GOTS-certified organic cotton. Handmade in Spain. Jute sole with a bottom layer made of natural rubber that boosts their durability. Natural jute upper. If you prefer, in the shop, we have inner soles made of organic cotton fabric. 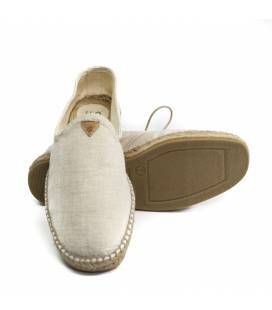 FLAT COTTON ESPADRILLES NATURAL LINEN Men's espadrilles. Organic and vegan. GOTS-certified organic cotton. Handmade in Spain. Jute sole with a bottom layer made of natural rubber that boosts their durability. Natural jute upper. If you prefer, in the shop, we have inner soles made of organic cotton fabric. 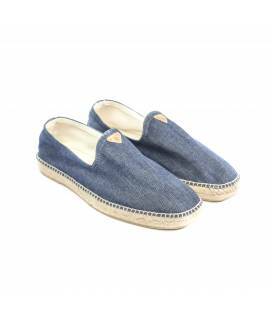 FLAT COTTON ESPADRILLES DARK DENIM Men's espadrilles. Organic and vegan. GOTS-certified organic cotton. Handmade in Spain. 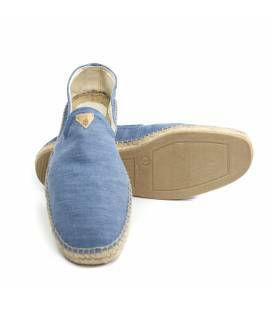 Jute sole with a bottom layer made of natural rubber that boosts their durability. Natural jute upper. If you prefer, in the shop, we have inner soles made of organic cotton fabric. 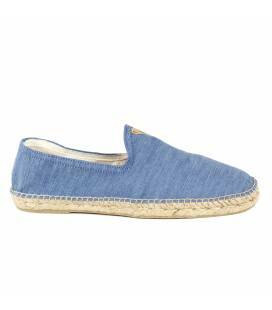 FLAT COTTON ESPADRILLES LIGHT DENIM Men's espadrilles. Organic and vegan. GOTS-certified organic cotton. Handmade in Spain. Jute sole with a bottom layer made of natural rubber that boosts their durability. Natural jute upper. If you prefer, in the shop, we have inner soles made of organic cotton fabric. 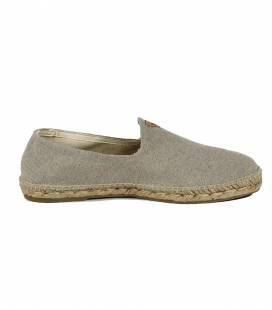 FLAT COTTON ESPADRILLES OCHRE Men's espadrilles. Organic and vegan. GOTS-certified organic cotton. Handmade in Spain. Jute sole with a bottom layer made of natural rubber that boosts their durability. Natural jute upper. If you prefer, in the shop, we have inner soles made of organic cotton fabric. 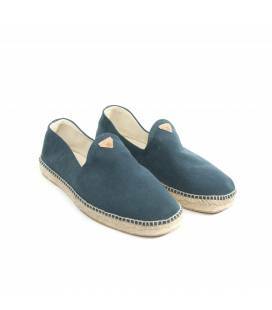 FLAT COTTON ESPADRILLES PETROL BLUE Men's espadrilles. Organic and vegan. GOTS-certified organic cotton. Handmade in Spain. Jute sole with a bottom layer made of natural rubber that boosts their durability. Natural jute upper. If you prefer, in the shop, we have inner soles made of organic cotton fabric. 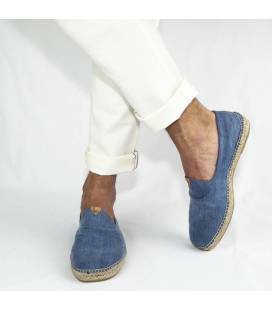 FLAT COTTON ESPADRILLES JEANS Men's espadrilles. 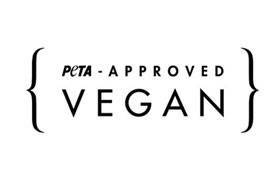 Organic and vegan. 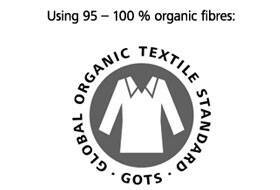 GOTS-certified organic cotton. Handmade in Spain. 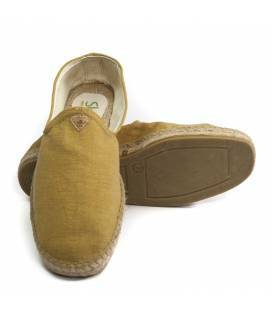 Jute sole with a bottom layer made of natural rubber that boosts their durability. Natural jute upper. 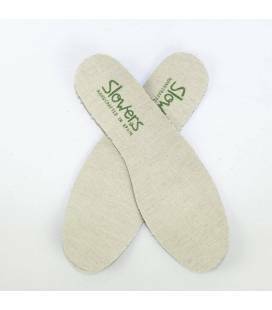 If you prefer, in the shop, we have inner soles made of organic cotton fabric.